1. What is the difference between Kandy Pearls and Spectre Pearls? Kandy Pearls are pigmented or colored. They will create a colored paint that can either be translucent or opaque. Kandy pearls are good for base colors and can even be mixed to custom make colors. Spectre pearls will give color reflection when the light hits them but are not pigmented so they will not create a colored paint. Spectre pearls alter black base coats fairly easily and will create a ”midnight” color effect. Spectre pearls can go over any color and can be layered for a multi colored effect. 2. What is a base clear Paint? 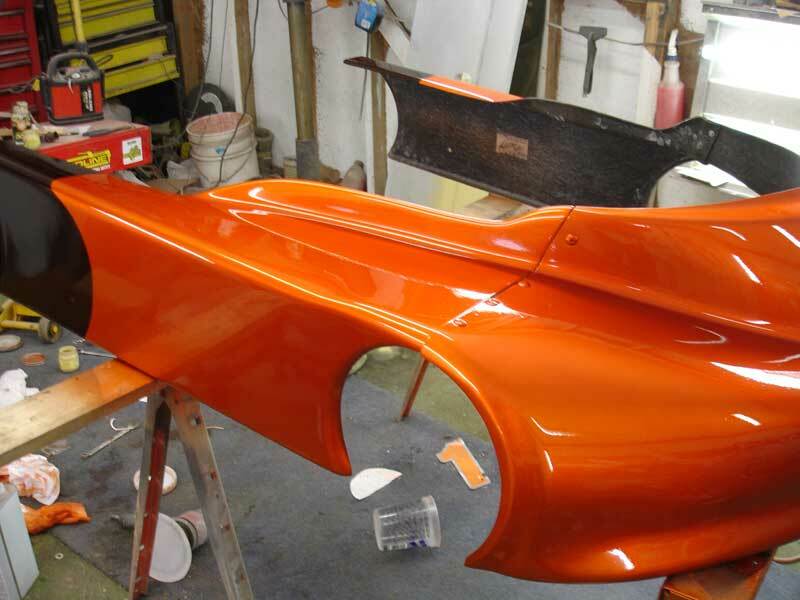 Base clears can go by many names such as intercoat clear, midcoat clear, blender or binder. They are all pretty much the same in that they are fast drying mediums that candys/pearls/flakes can be mixed into. They layer up without a lot of orange peal or drips. Top coat clears should go on over the top of the base clears for protection and gloss effects. 3. What base coat color do I need for metal flakes? You can use any base color for flakes. It all depends on what you want your project to look like. If you are going for a full flake effect it is best to lay down a base color that is close to the color of the flake that you choose. That way, if you miss any spots it will not be obvious. Black is a very forgiving color to spray metal flake over as well. Really, the possibilities are endless for color combinations. 4. What base color is best for Kandy Pearls? Black is usually the best and most forgiving to go under a Kandy Pearl, especially if you are looking for the true color of the pigment. Black bases take less coats to cover and will get you to the true color of the pigment the quickest. HOWEVER, we have found that white or silver works best under the bright orange candy pearl. Otherwise it appears much more on the gold side. 5. What base color is best for Kandy Concentrate pigments? Silver metallic, gold metallic or white are best under the true candy concentrates. Over a black base they do not appear much at all. 6. What base coat color is best under true Kameleon Pearls? Black, again, is the most forgiving and gets the true color change effect fastest, but there are several non pigmented chameleons that can go over a white or silver base coat for a spectre/chameleon effect. Painters are now really trying to expand the chameleon pearl pigment effects by going over all colors, red, blue, etc. Again, the possibilities are endless. 7. What is the difference between metal flakes and colored paint pigments? Metal flakes are glitter. They are tiny pieces of precision cut foil that create a colored sparkle. Flake does not create a colored paint or tint clears. Pigments create colored paints, they actually tint clears to create colored paints. 8. Do you offer sample sizes? Unfortunately we do not. 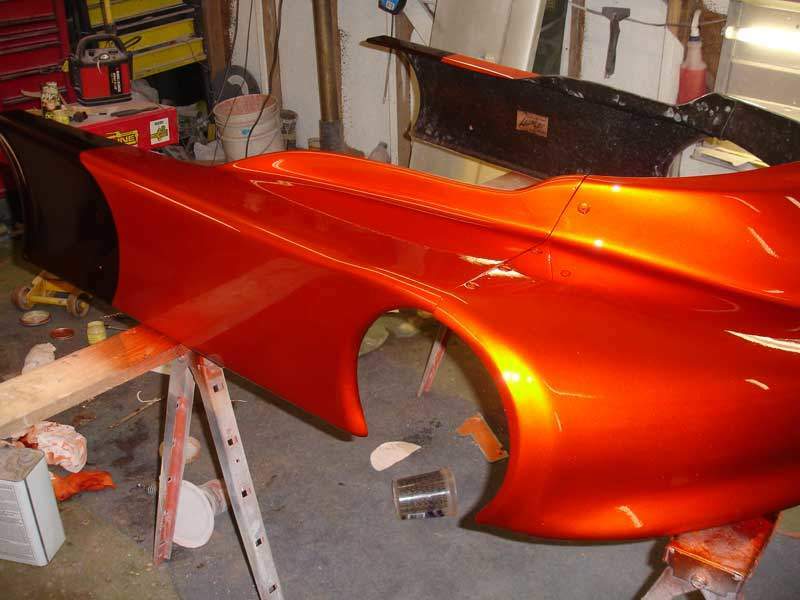 We strive to keep our prices low so that everyone can afford custom paint. We do have a great return policy. If you get a product and just do not like the color you can return the unopened product for a refund minus shipping. 9. How do I choose a color for my project? If you aren’t sure what color to paint your project it is always best to start with a visual. Do an image search on your search engine for custom paint, custom colors, candy pearls, spectre pearls, metal flakes, etc. Cut and paste some pictures that you like into an email to me at matt@paintwithpearl.com and I can try to help you find the right products for your job. 10. How often do you ship? We ship 4-5 days a week and occasionally on weekends. If your order comes in before 1pm mountain time, we can probably get your order out the same day. 11. When will I receive my items? First class shipping is 3-5 days with no tracking, priority mail is 2-3 days with tracking and express mail is overnight to 2nd day by noon depending on the zone you live in. You can always go to the USPS.com website and enter in your zip code and mine (80205) and they will calculate shipping times for you. International shipping is generally 1-2 weeks for priority mail international and express mail is 3-5 days. All of these times are an estimate due to different customs procedures in different countries. What is that car paint that changes color when wet? These videos of cars changing color with water is not because they are wet. It is because the surface of the car is changing temperature using hot and cold water over themochromic pigment suspended in paint.